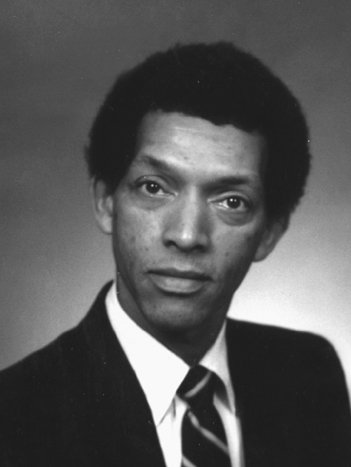 George Carruthers is an engineer and astrophysicist at the Naval Research Laboratory, where he heads the Ultraviolet Measurement Group in the Space Sciences Division. He has recieved international recognition for his research on ultraviolet radation in Earth's upper atmosphere. He was the principal scientist responsible for the development of a special camera that made the trip to the moon aboard Apollo 16 in 1972. The camera was designed to study the earth’s upper atmosphere, interplanetary and interstellar space, stars, and galaxies by making observations of light in the far-ultraviolet. Later versions of the camera have flown on Skylab 4, two space shuttle flights, and the ARGOS satellite. Dr. Carruthers is also involved in numerous community-based organizations where he encourages students of all races to pursue their interests in the sciences. Many high school and college students have worked as research apprentices with him, assembling equipment and test components and reducing data for astronomy experiments on the space shuttle and other satellite missions. He currently teaches a course on earth and space science at Howard University. Dr. Carruthers has been honored by awards from NASA, the American Astronomical Society, the National Science Foundation, and other organizations. Dr. Carruthers received the nation's highest honore for achievement in technology when President Barack Obama awarded him the 2012 National Medal of Technology and Innovation. That same year the National Institute of Science named him the first recipient of its Outstanding Scientist Award.